Some of you might disagree with the results but the winners of the TV boy band search To The Top are out to prove that they deserve the spotlight. "Sobrang normal na siya eh. Yun dapat ang ine-expect namin and we should take that as a motivation," says Mico Manguba on skeptics questioning the results. 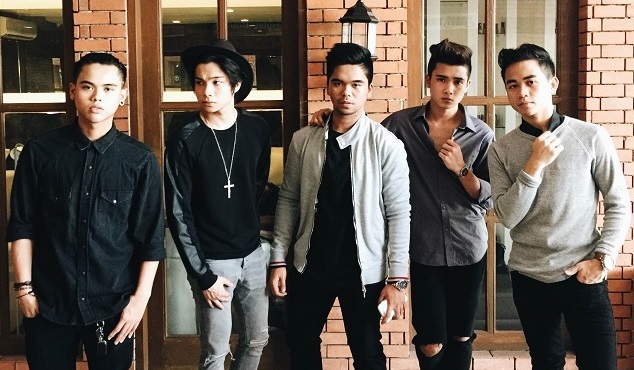 Mico won the search together with Louie Pedroso, Adrian Pascual, Joshua Jacobe and Mico Cruz. Collectively, the boys are now called T.O.P and have signed an exclusive management contract with GMA Records and GMA Artist Center. One of the favorites from the beginning, Joshua, on the other hand, is looking at taking advantage of the unpleasant feedback. "Nagpapasalamat po ako kahit papaano kasi nasubaybayan po nila yung show... May kanya-kanya po yan na mga bias. Di talaga maiiwasan na magkakaroon ng ganung klaseng comments." The boys have reached a consensus though to not be so attached to their social media accounts and disregard the bad comments. "Go on. Move forward and kailangan dapat isipin ang mas makakabuti sayo," Joshua added. Speaking of doing what's good for the group, T.O.P has recorded one of the songs that will be featured in their upcoming album. The boys have enjoyed such a warm reception performing the song "Paggising" at the full-packed meet and greet event with Alden Richards and other GMA Records artists at SM North EDSA last week. Here's a video of their performance. Being newbies in the music industry, we opted to know T.O.P more with Fast Talk questions. Unfortunately, we ran out of time so we where only able to interview three of the boys. Here's Adrian, Joshua and Mico C. We promise to ask these questions to Mico M. and Louie as soon as we can!